I’m already tired of Christmas commercials. Maybe I should petition the government to ban them. Oh, wait. Those regulations would violate the First Amendment freedom of speech. So never mind. Commercial speech may also receive less protection under statutory and common laws that give private parties the right to sue each other (e.g., lawsuits for libel). Unfortunately, the U.S. Supreme Court has never decided how the commercial speech doctrine applies to private lawsuits and the lower courts don’t always agree with each other. But what is commercial speech? Legally, it is any speech that proposes an economic transaction. In lay terms, commercial speech is any speech—verbal, written, or otherwise—that is trying to get you to pay for something the speaker has to offer. This doesn’t necessarily require an explicit solicitation, however. Merely using a trademark on an educational brochure may be enough. On the other hand, the mere fact that the speaker/writer is in it for the money doesn’t make it commercial speech. Many reporters wouldn’t write news articles if they didn’t get paid, but that doesn’t make the articles commercial speech. And even though you hope your novel will make you a millionaire, it isn’t commercial speech, either. But that advertisement for your novel and the bookmark or postcard you created to promote it are commercial speech. If you use them to misrepresent the book, you could get into trouble. But no government can pass a regulation prohibiting you from advertising the novel. So go ahead and join the Christmas rush. * This test comes from Central Hudson Gas & Electric Corp. v. Public Service Commission, 447 U.S. 557 (1980), as modified by Board of Trustees v. Fox, 492 U.S. 469 (1989). 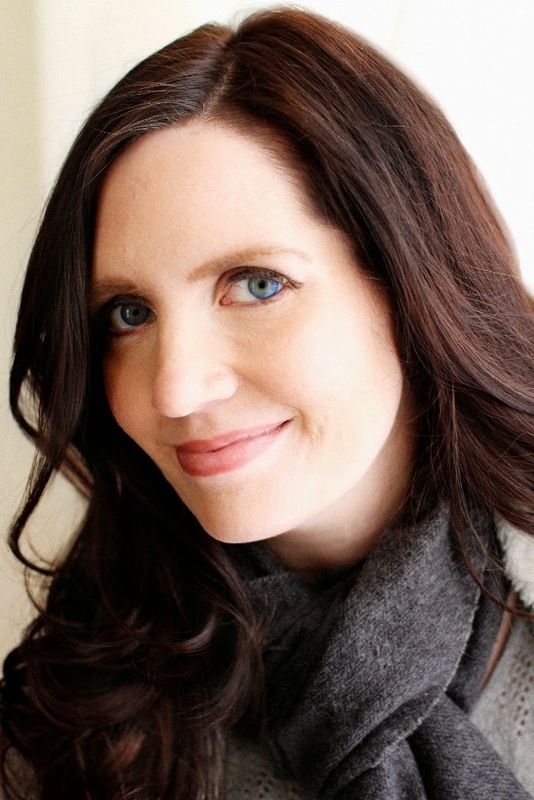 Kathryn Page Camp is a licensed attorney and full-time writer. Her most recent book, Writers in Wonderland: Keeping Your Words Legal (KP/PK Publishing 2013), is a Kirkus’ Indie Books of the Month Selection. Kathryn is also the author of In God We Trust: How the Supreme Court’s First Amendment Decisions Affect Organized Religion (FaithWalk Publishing 2006) and numerous articles. You can learn more about Kathryn at www.kathrynpagecamp.com. As we come to another season of thankfulness and my birthday, I want to thank you for a few things this past year. First, I want to thank you for my husband, Michael, for the past thirteen years. Without him, I don’t know if I would have finished my Bachelor’s and Master’s degree. I probably would be worrying about how to pay my bills. I wouldn’t be exploring my ability to write. I wouldn’t be a stay-at-home who has the time to write while watching my children grow. Even being at home, my children seem to grow too fast at times, but then on the other hand, they sometime don’t appear to grow at all. The life of a parent. I want to thank you for Elijah, my oldest son, who is in seventh grade and twelve years old. I love the creativity you have given him, and the child-like faith he still has even though the world is probably pressuring him to change. I enjoy watching him build and play with his Lego’s. However, please help him control his hyper movements and allow him to be a big brother not a parent. His time will come soon enough. Next, I want to thank you for Isaiah, my middle child, who is in fourth grade and nine years old. I enjoy his moments of wanting to be cuddled, even at his age. He loves to crawl in my lap and just talk to me. It still feels nice when he wants to do that. Isaiah love language is spending time with others. When you don’t pay attention to him, then he starts to become moody. However, please teach him how to control his temper and learn to keep his room clean. Obadiah. My baby. He appears to be so big at times, that I can’t believe it. He started kindergarten this year, which still surprises me. Lord, keep his love of learning going as he advances through the years. Allow him to absorb all he can from his teachers and never leave his competive spirit. I pray for his grace and understanding as he grows older. I pray that his joy of sitting in my lap and being read to advances him to a life-long reader. I thank you, Lord, for my two dogs, Happy, our seven-year-old golden retriever, and Snoopy, our three-year-old Beagle. I couldn’t imagine anyone having a home without a dog. They love you unconditionally and are always happy to see you. Whenever you feel down, they know it and will sit next to you, wanting you to pet them, which will put a smile on both your faces. Last, I want to thank you for the desire to write. I want to use my words to lead others to you. I want to create a story where the reader forgets their reading a book, but they learn something about your grace and love and ponder if they should be seeking you with their life. Thank you, Lord. I appreciate the path you have set my life upon. This same prayer will be featured on my blog, Creating Justice One Suspense at at Time, this Friday, November 21st. Thank you! Most contemporary Christian romance publishers stay as far away as possible from a book set in a foreign locale. I love to travel; it’s one of my favorite things in life! I was blessed to have done quite a bit B.C. (in this case, “before children”). When I learned the publisher for my Christmas novellas, Pelican Book Group/White Rose Publishing, was launching a new line called Passport to Romance (romances set in foreign locations), I jumped on-board immediately. 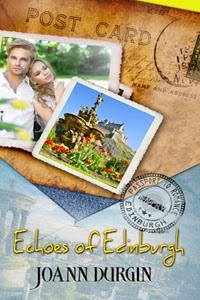 Echoes of Edinburgh released in late September (while I was attending the ACFW in St. Louis, as it so happens!). I’ve always said the best part of my college experience at Ball State was the quarter I spent studying abroad in London instead of on the main campus. Earning a 4.0 for studying art at The Tate Gallery, attending productions at the Royal Globe (Shakespeare) Theatre, the opera, the ballet and listening to the London Symphony Orchestra—I ask you, what could be a better learning experience for a relatively sheltered 19-year-old girl from southern Indiana? What a blessing! My time in London opened my eyes to other cultures, customs, languages and proved one of the most fabulous times of my life. I also credit my London Centre semester for helping me become more independent and adventurous. During my ten weeks in London (followed by a three-week tour of the Continent), I embarked on a fun weekend jaunt with two roommates on the high-speed train from London to Glasgow, Scotland, and then traveled from there to Edinburgh. Although my time in Scotland was short, I fell in love with the beautiful countryside, in particular, and with the city’s rich history. The book is dedicated in part to my cousins, Terry and Lyntha Eiler, who have gone to Edinburgh for 30 years with photojournalism students from Ohio University. Terry and Lyntha were invaluable resources of viewing Edinburgh through the eyes of Americans abroad. They provided the type of “insider” tips only observed by those who’ve been to Auld Reekie and Athens of the North multiple times. While many aspects of the city have not changed, others have transitioned through the years, as represented by the recent vote by Scotland as to whether to secede from the UK (voted down). Without wanting to sound like a travelogue of Edinburgh, I tried to incorporate a number of notable tourist sights in the capital city of Scotland as seen from the perspective of Americans—my heroine, Shelby Harmon, and her hero, Harrison (“Harry”) Reed—with a sense of humor, adventure and romance. Many of my readers may never personally experience Edinburgh, so I wanted to give them an idea of how fabulous it is! I’ll confess the one thing I didn’t love about Edinburgh was the food, which I incorporate with well-intentioned humor in Echoes of Edinburgh. As Harrison tells Shelby, the Scots have two favorite meals: breakfast and tea. I will confess that Shelby is more adventurous than I am when it comes to tasting the dishes indigenous to Scotland! I also needed a place for my characters to attend a worship service. Imagine my delight in my research when I discovered Carrubbers Christian Centre, a non-denominational, evangelical church located on Edinburgh’s famous Royal Mile. Perfect! 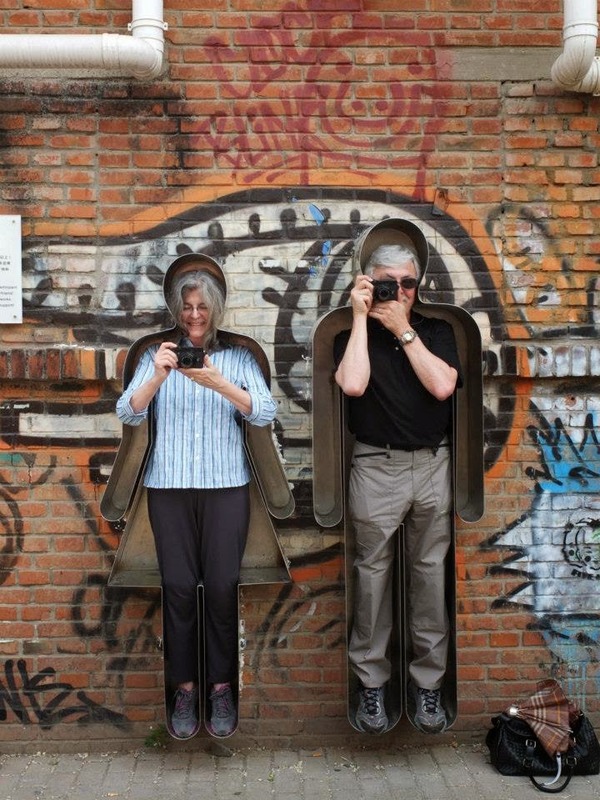 Carrubbers started as a mission in an alley in 1858 with the purpose of introducing children to Christ’s teachings. D.L. Moody helped raise money to build the church, and he preached at the laying of the foundation stone. 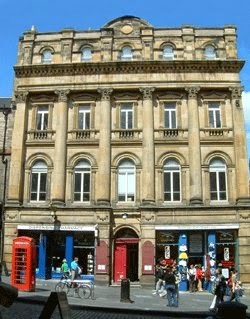 It’s one of the original buildings on Edinburgh’s famous Royal Mile still used for its original purpose. Whenever I make it back to Edinburgh, I’m definitely going to pay Carfubbers a visit! To honor her dying father’s wish, Chicago stockbroker Shelby Harmon promises to hand deliver an envelope addressed to “Robert Nichols, Personal & Confidential.” Her quest to find Robert leads her to a most unlikely place—the Castlehill Gardens outside Scotland’s Edinburgh Castle. Who is this fiercely private man and what is his connection to Harmony Lane, her family’s horse farm in Lexington, Kentucky? Harrison Reed cautions Shelby against dredging up hurtful memories for his close friend, Robert. As they explore the city together, Shelby and Harrison find themselves increasingly drawn to one another. When the contents of the mysterious envelope are revealed, the answer gives her hope for the future of Harmony Lane. Is the time spent in Edinburgh with Harrison destined to be nothing more than a beautiful memory? Did Shelby lose her heart in Edinburgh...or find her way home again? One of the predominant themes in all my books is finding our true purpose, finding “home in our heart,” and seeking God’s will for our life. Echoes of Edinburgh addresses this issue from both the perspective of my hero and heroine and told with (what I hope is) a good dose of humor and heart. I hope you might take the opportunity to read it sometime! My second most favorite thing about writing is the freedom. Maybe freedom is the wrong word. I think what I like is the control. The freedom to be in control, maybe? There is so much in my life over which I have little to no control. It’s just plain fun to dig into the adventures of someone else, even if it is someone I made up. When it comes to my stories I have complete control. 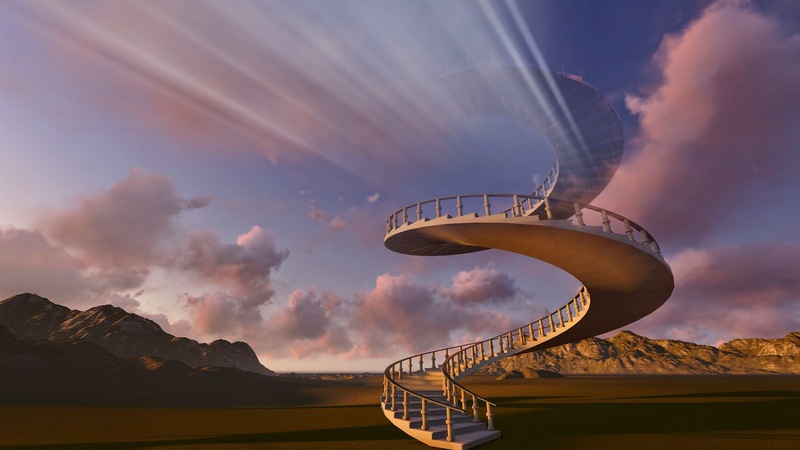 I have control of my characters’ actions, their words and what happens to them in the end. In my stories I can always have the bad guy get his or her comeuppance, as it should be. I can even control the kind of world they live in. If I want a world with purple cows that produce green milk that tastes like cherries, I can do that. Although I don’t think I ever would. That’s very strange, even for me. Anyway, I think I’ve made my point – writing gives the writer the freedom to do and create whatever he or she wants. And yet… there are still rules, aren’t there? Without them we wouldn’t know what freedom is or isn’t. 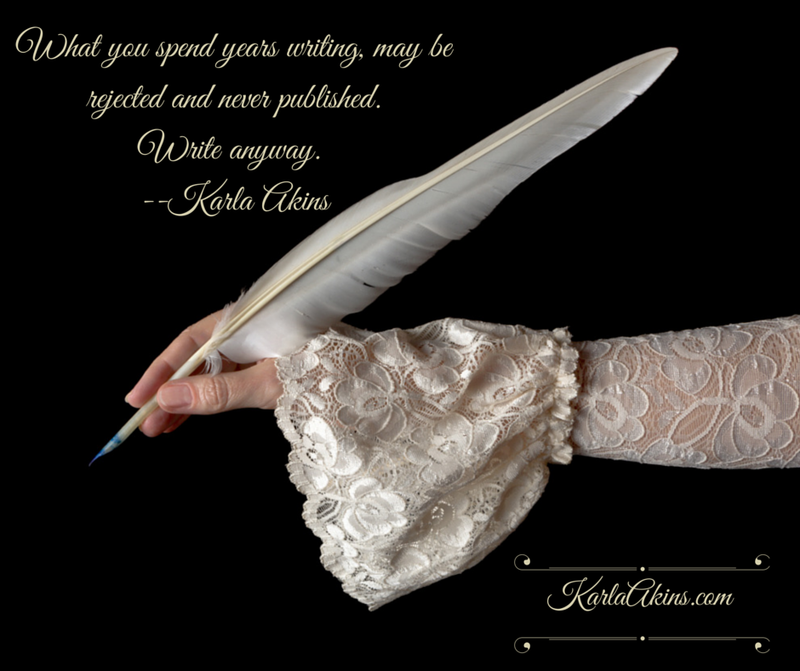 Strangely I don’t find rules constraining in my writing, annoying, yes, but not defeating. I find they make me more creative. Without something to overcome, there is no opportunity to become stronger. It’s in the conflict that we find the story, whether it’s ours or a character’s that we have created. It kind of sounds like I’m confident in myself and my ability as a writer, a creator, but I’m not really. It is only in Jesus that I am truly confident, and for that matter, free. In Christ, I am free from the fears and insecurities that would prevent me from even trying to write. Without Him I can do nothing. With Him I am free to be all He made me to be, and you can too. How cool is that? I was purposefully late onto the Pinterest boat when it became all the rage a few years ago. I didn’t especially like to cook, craft, or organize ... and that was what everyone pinned about, wasn’t it? At least that was what my friends seemed to pin about. And why did I need Pinterest to save my favorite photos off the internet? I already had several years’ worth of photos saved to my laptop to feed my imagination ... a whole folder full of “book photos” to show the different aspects of the imaginary world I written about for the last few years. 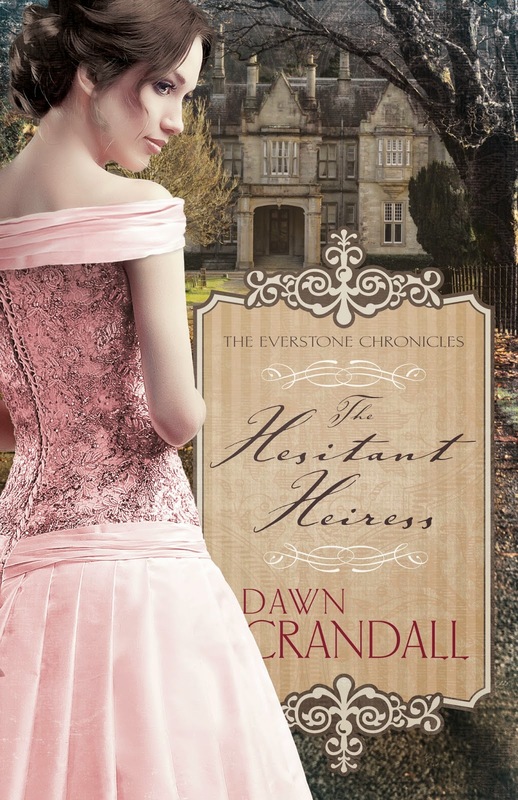 My debut novel, The Hesitant Heiress, release on August 1st from Whitaker House Books. The second in the series, The Bound Heart, came out in November (yes, I know that's crazy, but that was what my publisher wanted to do since they were both finished at the time the book contract was signed). Once I signed the book contract, it didn’t take me long to make boards for all three of the books in The Everstone Chronicles series. When I went exploring I found everything I needed on Pinterest to make my boards just how I wanted them. Yep. As you can see (hopefully you clicked through to see what I'm talking about), Pinterest had it all. In the beginning, I primarily made my boards for myself. I love to look through them and recall the stories I spent so much time developing and finding out about. But I’ve come to realize that the people who’ve come upon my board and decide to follow it must see something of the story too, even with only little snippets of words either from the book or describing what the photo means for the story. Photos of specific scenes… if you can find them! I included a few other writing related boards on my Pinterest page as well. 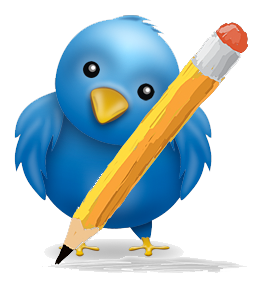 I have an author board called “About Me” with links to my blog and twitter account. I share pictures of things that I love, and things that say a lot about me. I also add sayings that mean a lot to me and favorite Bible verses. Another one was my board for my blog, “A Passion for Pages.” Every time I blog about something I link it to this Pinterest board. I have really come to love and value Pinterest—even if most of what is on there was pinned while I was very pregnant and having trouble sleeping at night—I sure had fun finding those photos! So far, since I’ve linked my Pinterest page to my blog, my twitter and my Facebook author page, I’ve had a pretty great turnout of soon-to-be readers who have followed the board for my debut novel. It’s basically become my favorite way of marketing… probably because it was something I was doing on my own on my laptop way before Pinterest was ever invented. What questions do you have? Anyone else out there use Pinterest? How are you using it—for yourself (to store images) or for marketing? If you're a Pinterest user, what do you most like about it and have you ever purchased a book because you were intrigued by an author's board? 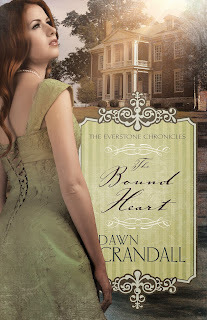 A graduate of Taylor University with a degree in Christian Education, and a former bookseller at Barnes & Noble, Dawn Crandall didn't begin writing until her husband found out about her long-buried dream of writing a book. Without a doubt about someday becoming traditionally published, he encouraged her to quit her job in 2010 in order to focus on writing The Hesitant Heiress. It didn't take her long to realize that writing books was what she was made to do. Dawn is represented by Joyce Hart of Hartline Literary. Apart from writing books, Dawn is also a first-time mom to a precious little boy (born March 2014) and also serves with her husband in a premarriage mentor program at their local church in Northeast Indiana. 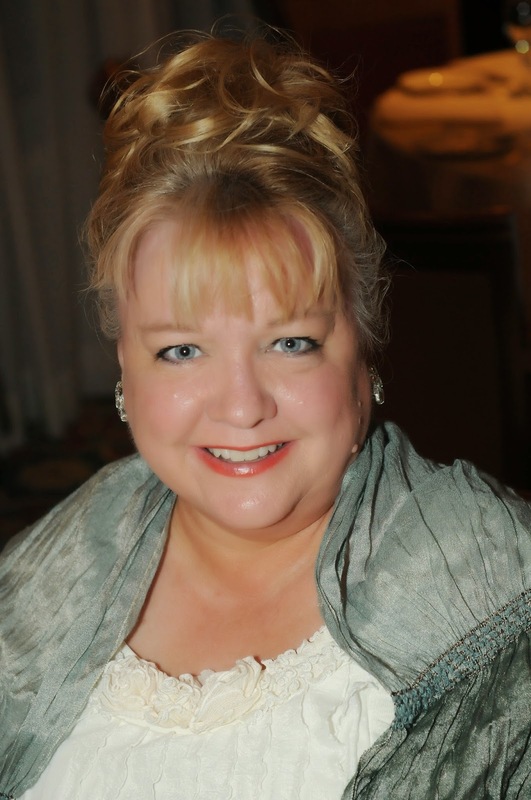 Dawn is a member of the American Christian Fiction Writers, secretary for the Indiana ACFW Chapter (Hoosier Ink), and associate member of the Great Lakes ACFW Chapter. 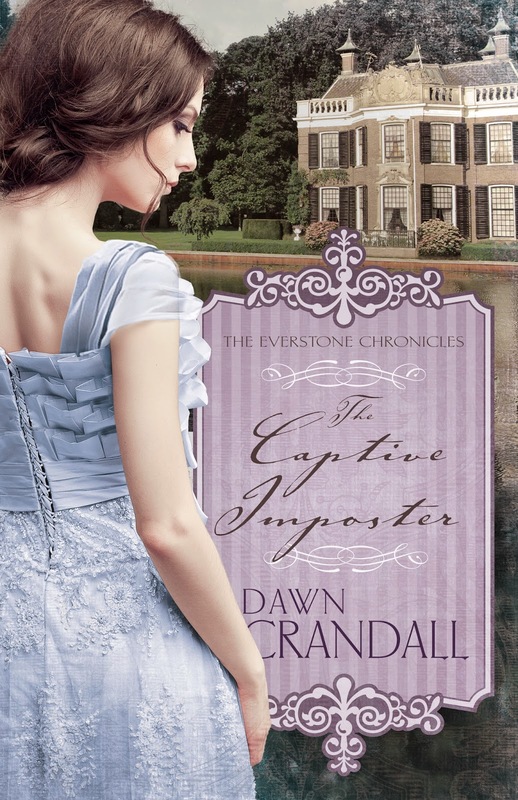 The Everstone Chronicles is Dawn's first series with Whitaker House. All three books composing the series were semifinalists in ACFW's prestigious Genesis Writing Contest, the third book going on to become a finalist in 2013. Despite her own misgivings, she soon finds herself falling in love with the most unlikely of men, Nathan Everstone, whose father not only had a part in her expulsion, but whose ominous presence has haunted her dreams for a decade since her mother’s tragic death. Nathan turns out to be much more than he seems and everything she never knew she wanted. But just as everything Amaryllis has recently hoped for comes to fruition, it all falls apart when she finds that the real culprit who has been managing her life isn't who she thought at all. One accidental kiss from Lawry Hampton. That was all it took to throw Meredyth Summercourt's world upside-down. Determined to marry the ever-elusive Vance Everstone, she simply doesn't have the time or the desire to fall for her best friend. But with Vance out of the country, and with Lawry at her side nearly every day, teaching her what the world is like through the eyes of a little orphan girl named Wynn--Meredyth can't deny that what's holding her to Vance is nothing more than a desire to redeem herself from her past. Will she marry Vance once he returns from Europe? Or will she be strong enough to break free from the tangled web she's convinced she deserves, and accept that God's plan for her life includes redemption...and, quite possibly, Lawry Hampton? Sent away for protection, hotel heiress Estella Everstone finds herself living undercover as a lady’s companion at Everston, one of her father’s opulent hotels in the mountains of Maine—the one she'd always loved best and always hoped to own one day. Within the week, Estella discovers that her ex-fiancé is in the area and is set on marrying someone else. Reeling from her feelings of being unwanted and unworthy, Estella forms a friendship with the manager of Everston, Dexter Blakeley. She soon discovers that he is not simply the manager, but the new owner. Resentment takes hold in her heart, and she decides to sever the friendship. When she finds herself in need of help, Dexter comes to the rescue with an offer she can't refuse. Though she doesn’t want to be indebted to him, Estella sees no other choice aside from going back home to her family. Through the rebuilding of their friendship, and despite her earlier hard feelings, Estella realizes that although she’s been lying to him about her identity, she’s never been freer to be herself in her life. For five years I worked as a full-time editor. During that time, I saw more grammatical and spelling errors than I can count. However, certain errors wormed their way into manuscript after manuscript of many different authors. Nowadays I see those same errors often repeated. If you want to strengthen your grip on proper English, here are a couple easy tips about prepositions. John was on the boat. But what about this sentence? John jumped on the speedboat. John jumped onto the speedboat. Jane walks in the gym. Jane walks into the gym. Once again, many non-literal figures of speech use "in" and have nothing to do with physical location ("in love," "in trouble," "to be in luck"). In summary, if you want to show literal motion and not simply location, remember to write "onto" and "into." Mastering such fine points will show editors you actually know how to write. Rick Barry has freelanced hundreds of articles and short stories and had two novels published. Kregel Books has slated his third novel, The Methuselah Project, for Fall 2015. 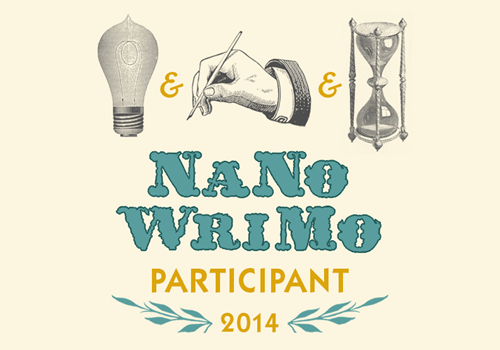 I owe my involvement with writing novels to NaNoWriMo 2003. It was then that I realized I have a lot of stories inside aching to come out. I'm compelled to write. But writing, for me, is also scary. 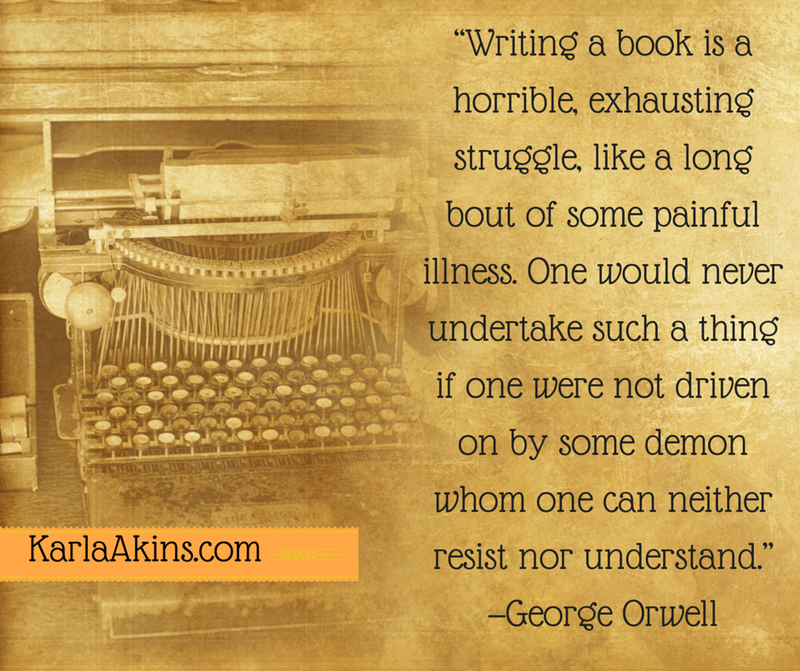 I know a lot of writers who agree, including George Orwell. Fear of being inept and amateurish. What if my writing is really bad? 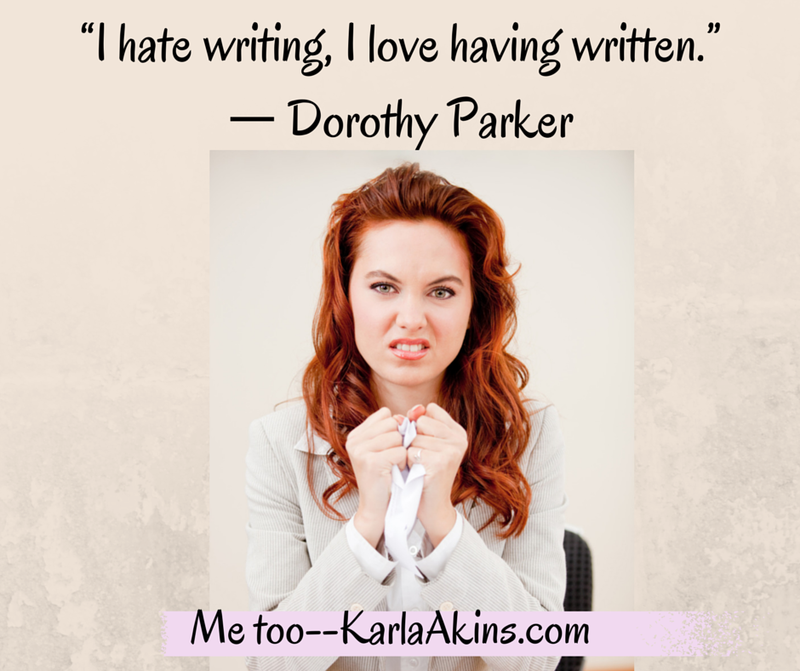 What if I can’t play with the big kids in this writing thing? What if I’m too shallow? Too glib or cliche? Fact is, I probably am, but I’m the only writer who can write like me, and that’s something I have to offer that no one else does. Fear of not being smart enough. 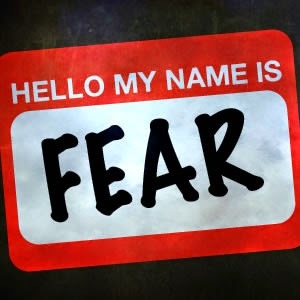 This relates to the first fear. I think great writers are geniuses. Seriously. I envy successful writers because they are extremely clever and smart. Will I ever be as smart and knowledgeable? Do I even have the aptitude? The answer is that there are a lot of writers much, much smarter than I am or ever will be. And maybe, just maybe, there are writers I'm smarter than. But if I'm called to write, then there's a reason. There must be someone who needs to hear what I have to say. And if I can influence or encourage even one life--isn't that reason enough to obey the call? Fear of making mistakes. Last I checked, Jesus Christ was the only perfect human Who walked the earth. And I certainly don't have the qualifications to be the Messiah, so this fear is absolutely unreasonable. Then again, I never claimed to be reasonable. Fear of being unoriginal. 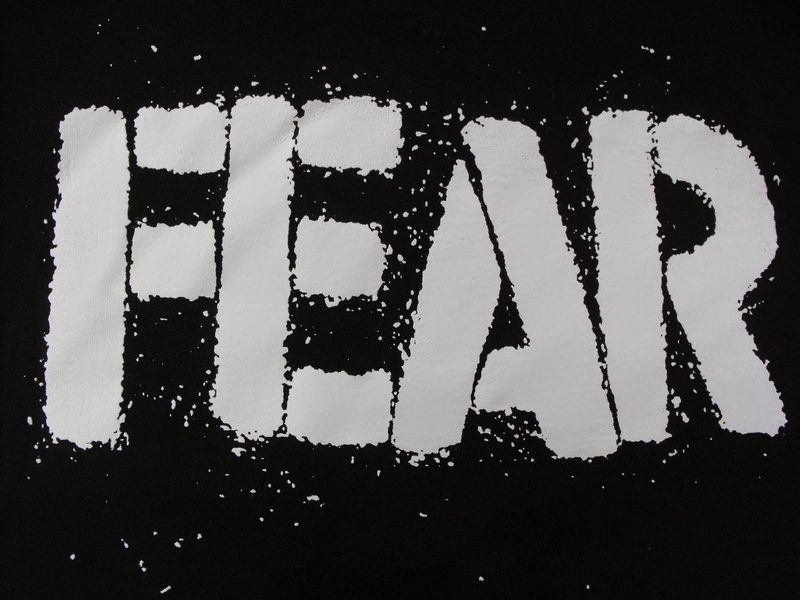 This fear is based in a lie. 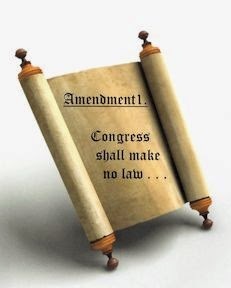 God's Word tells me that "What has been will be again, what has been done will be done again; there is nothing new under the sun" Ecclesiastes 1:9. Basically there are only seven major plots: 1) Overcoming the Monster, 2) Rags to Riches, 3) The Quest, 4) Voyage and Return, 5) Comedy, 6) Tragedy, 7) Rebirth. There are no original ideas, just variations. Fear of not selling the story. What if my idea is so stupid and the writing so bad that even my agent won't look at it? Yes, this poltergeist taunts me on my dark days when the words won't flow. Fear of not creating the story that's in my head. That's when I freeze and don't know how to put the words on the page and procrastinate by playing online marbles. 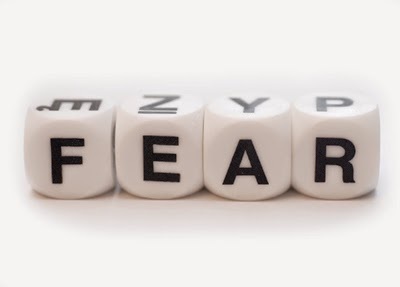 The only way to work through this fear is to vomit up on the page. Words, not actual body fluids. That might ruin the laptop. Fear of rejection. I hate rejection. I have issues with rejection as an abandoned child and the thought of being rejected is horrifying. But to go through life thinking everything I do will be liked by everyone is unrealistic. The fact is, I will be rejected. I must learn to accept it and learn to take it like a big girl. To fight this fear I often have more than one project I'm working on so I can put my focus on something other than the rejection. Fear I'm too old and irrelevant. I didn't get started early enough in writing seriously--or so I tell myself when this writing gig isn't going smoothly. But then I remember that Laura Ingalls Wilder published her first book at age 65, and Frank McCourt (Ashley's Ashes) when he was 66. And I'm a decade and some years younger than they, so maybe there's hope. Fear I'll give up. Ironic isn't it? I'm afraid of quitting because I won't have the strength to keep writing through all the rejections and failures. Sometimes I wonder about Harper Lee--why didn't she write another book? Was she too afraid? Like me? And will I be too afraid to keep putting myself out there? What if I quit right before the moment when everything works and a masterpiece is created? The thought makes me shudder. 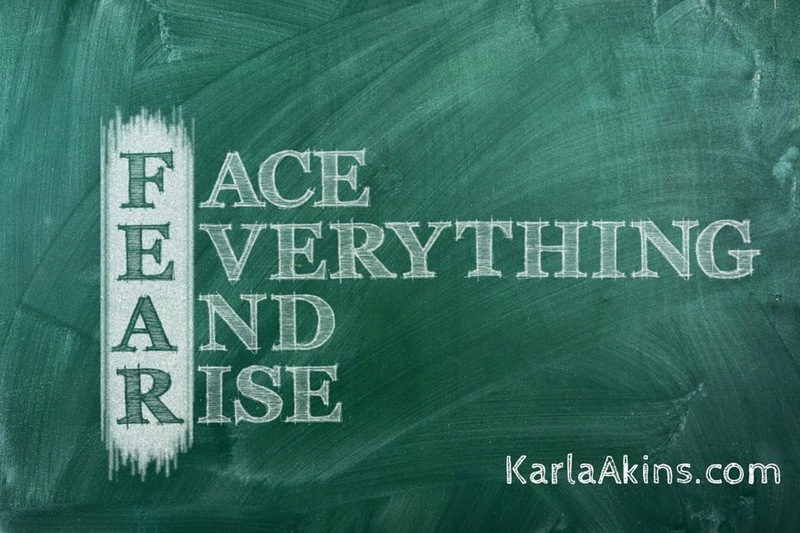 Fear of failure on all fronts. 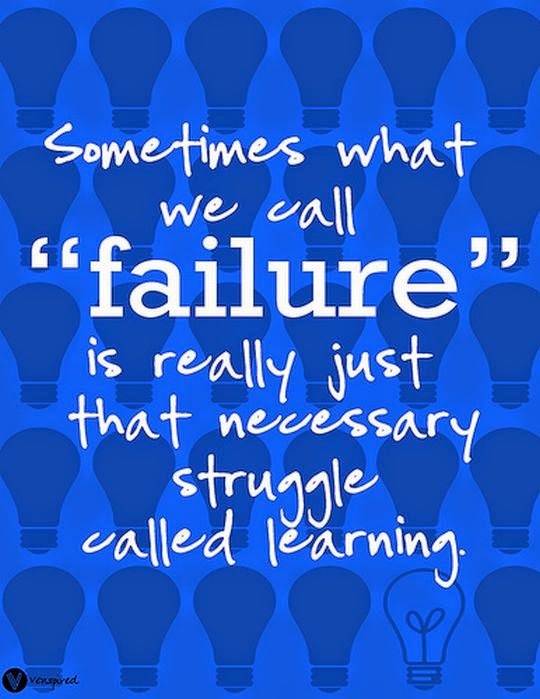 Fear of failure is at the root of all the other fears, isn't it? To think I'll never fail is a lie. 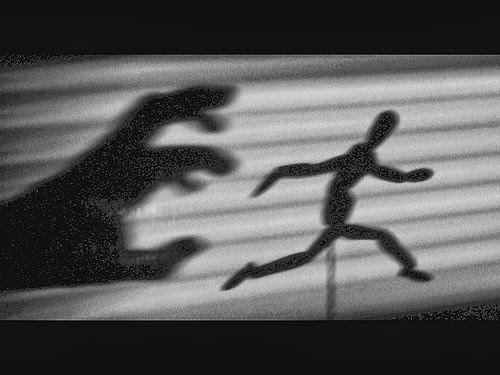 Lies and fears are bedfellows. I will fail. I will not always succeed. If you're going to write, you've got to be at peace with that. 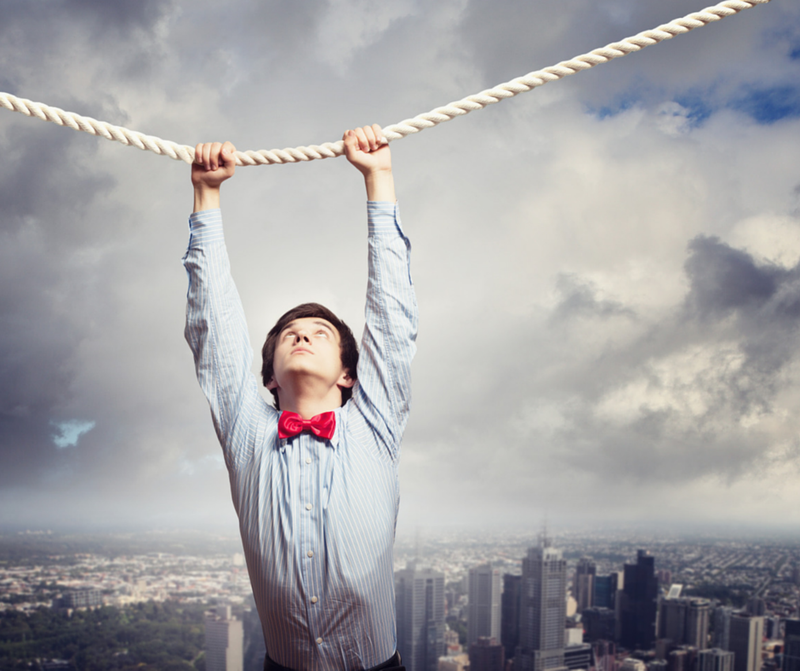 It takes prayer, tenacity and courage to be a writer. I can only face this art I love with prayer and the grace of God. His gift of tenacity keeps me writing on the hard days. 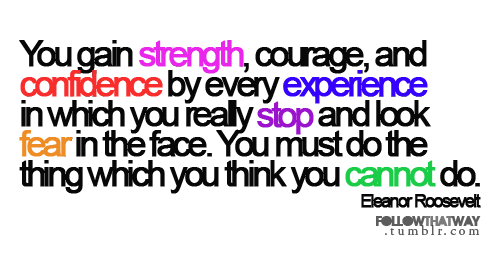 And courage keeps me submitting work after countless rejections. I'm not the best writer. I may never win a Pulitzer or Newberry or Christie. But if I obey and use my gift to the glory of God, that's all He asks of me. If I quit striving to shine the brightest in the history of the world, and just shine my brightest, the fear and stress will be much more manageable and I won't be tempted to believe the lies that fear spouts. One day I hope to be able to rest 100% in the grace He provides without all this wrestling. But that's the nature of living on this earth. Until heaven, I'll keep praying to keep up the good fight and remember that His Love conquers fear and His Strength will see me through. One. Word. At. A. Time. 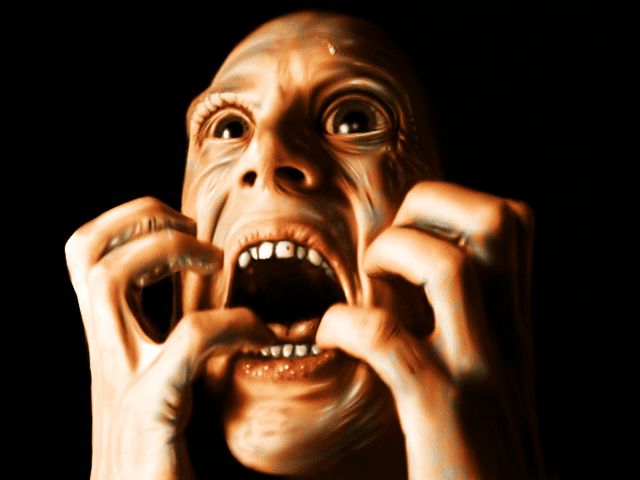 Tweet this: What scares you most about writing? Karla Akins is an award-winning, prolific writer of books, short stories, plays, poems, songs, and countless nonfiction articles. Her biography for middle grades, Jacques Cartier, went #1 in its category on Amazon. Her first fiction novel, The Pastor's Wife Wears Biker Boots, was released in 2013. Her short stories have been published in several magazines including Havok and Splickety. When she's not reading she's writing. When she's not writing she is zooming along on her motorcycle looking for treasure. 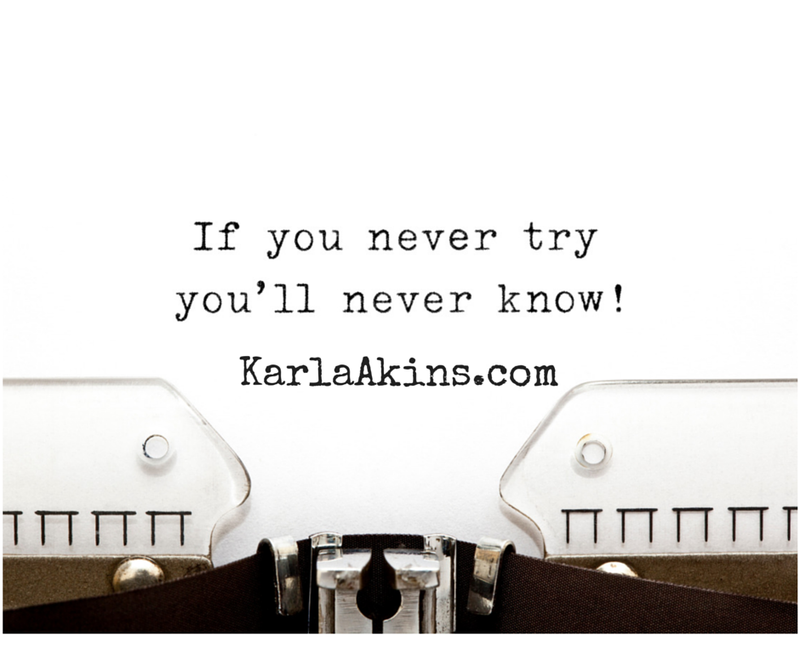 Learn more at KarlaAkins.com.